If you’re looking for a hotel with a good view, then look no further! The Redcliffe Hotel is one of the best locations in England for a hotel. Situated dividing two sandy beaches in the very centre of The English Riviera, you certainly won’t be disappointed with your stay! We think the design for this website really shows off the sophistication and style that the Redcliffe Hotel prides themselves on. On this website you can reserve your room without lifting a phone with the online booking system incorporated in the website. 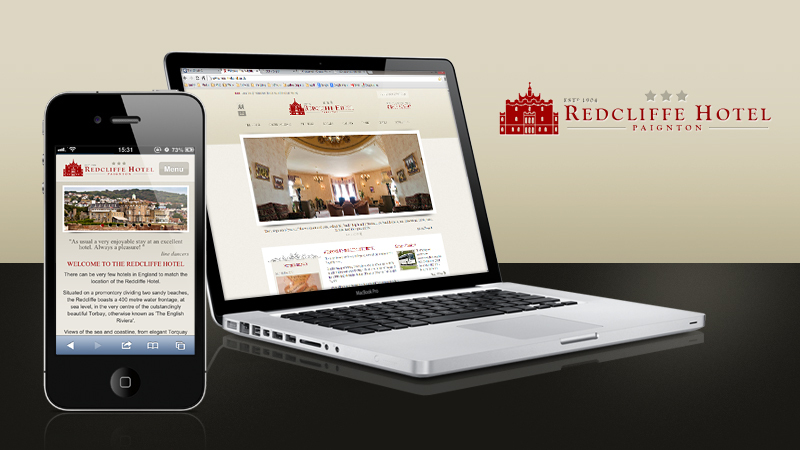 The Redcliffe Hotel site has been developed for both desktop computers and mobile devices, meaning you can add the champagne on ice to your room on the move!